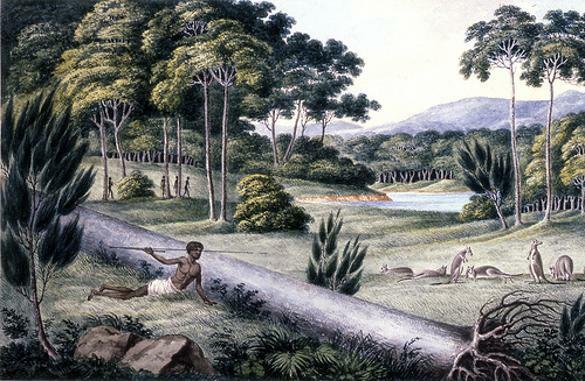 Aborigines Kangaroo Hunting, Print by Joseph Lycett. Joseph Lycett is one of the most well-known convict artists. A self-proclaimed portrait and miniature painter and engraver, Lycett met with little success with these in England. To meet the demands of a lifestyle as a gentleman, he turned to forgery, which he managed to get away with for a number of years before being caught and convicted in 1811. For his crimes, he was sentenced with fourteen years and transported to Australia on the General Hewitt in 1814. Upon arriving in Sydney, Lycett, a ‘gentleman convict’ was lucky enough to be granted a ticket of leave from Governor Macquarie, which allowed him to skip forced labour and instead take a job and live on parole. It did not take long for Lycett to be employed as a landscape painter at Absalom West’s publishing house, however this only lasted for a few months before West left the colony. Lycett was forced to take a lower paying job, and soon turned to forgery again. He was caught and sentenced to three years hard labour in Newcastle, arriving in 1815. 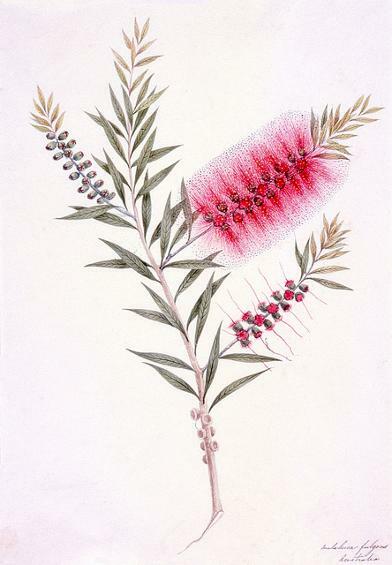 Painting, Callistemon Lanceolatus, by Joseph Lycett. Lycett worked hard labouring in Newcastle until Captain James Wallis became commandant in June 1816. Wallis discovered Lycett’s talents and soon utilized him in copying plans for building projects in Newcastle. In 1817, Wallis encourage Lycett to paint landscapes of Newcastle, teaming up with convict engraver Walter Preston. Lycett also sketched scenes of scenes of the Newcastle Aboriginal peoples during this time. Serving out his sentence in Newcastle, Lycett returned to Sydney in 1818. He continued work painting for Governor Macquarie as well as copying building plans. In 1822 Macquarie granted Lycett a pardon. Freed from his sentence, Lycett left Australia and sailed back to England, where he began publishing prints of Australian views. Once again, he found honest work did not pay well enough and returned to forgery. He was caught in late 1827, and reports claim that during the arrest he slit his own throat. He died of his wounds in February 1828. McPhee, John. Joseph Lycett: Convict Artist. Sydney: Historic Houses Trust of New South Wales, 2006. Print. Turner, John. Joseph Lycett: Governor Macquarie’s Convict Artist. Newcastle: Hunter History Publications, 1997. Print.